Alternatives to imprisonment in Pakistan have their legal basis at the pre-trial stage in the form of bail; at the sentencing stage with fines and probation; and at the post-sentencing stage with parole. Probation and parole are, however, underused, despite significant overcrowding in the country’s prisons and widely accepted evidence globally that alternatives to imprisonment such as community-based rehabilitation programmes and restorative justice are more effective at reducing re-offending. 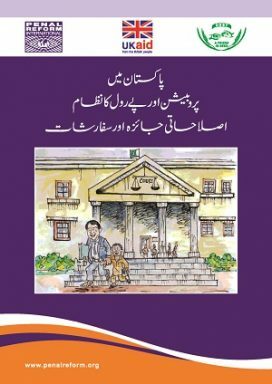 Published with PRI’s partner in Pakistan, DOST, this review analyses the current probation and parole system in Pakistan and makes recommendations for reform.